The second International Counter-Piracy Conference concluded yesterday in Dubai, UAE. The Conference, which brought together public and private stakeholders in the fight against piracy, welcomed the significant progress made in combating maritime piracy on land and in the waters off the coast of Somalia and reiterated the need for a comprehensive approach to eradicate piracy and its root causes. The Conference Declaration, adopted by foreign ministers and senior government officials, as well as representatives from UN agencies and top executives from leading maritime companies and organisations, backed the UAE proposal to make the UN Trust Fund to Support Initiatives of States to Counter Piracy off the Coast of Somalia a centralized focal point for funds donated towards the development of Somalia’s maritime security capacity. During the Conference, the UAE pledged US$1million to the Trust Fund. The donation was then matched by a pledge made by Ocean Beyond Piracy. The Conference also expressed support toward the establishment of a permanent, legitimate, and fully representative government for Somalia and welcomed initiatives to foster long-term economic development in Somalia’s on-shore communities, as well as the increasing financial contributions made by the global maritime industry towards counter piracy initiatives. Industry leaders attending the conference also issued a statement underlining concerns about the impact of hostage taking and violence on seafarers and their families and calling for clear and consistent standards of conduct for privately contracted armed security guards on board of vessels. One of the most significant development of the Conference, however, has been the holding of unprecendented formal discussions between the leaders of Somalia and the self-proclaimed breakaway region of Somaliland, further to initial talks held last week in London. 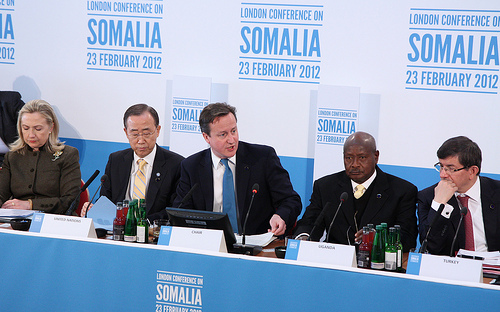 Somaliland initially agreed to enter into talks with Somalia during the London Conference earlier this year. While the parties are still far apart, particularly with regard to Somaliland’s independence status, they jointly inked the Dubai Declaration, which aims to pave the way for future talks and cooperation between them, including the common fight against piracy and terrorism. 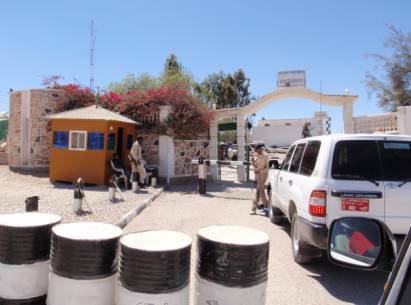 The semi-autonomous region of Somaliland has become an increasingly important ally to shipping states in resolving the present quagmire in piracy prosecutions in the Gulf of Aden. 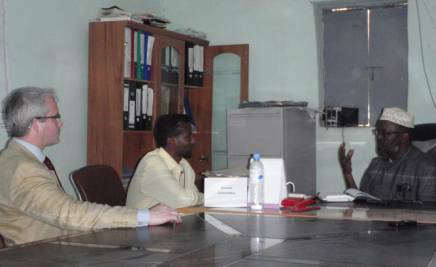 In the buildup to t­­­he recent London Conference on Somalia, Somaliland passed legislation criminalizing piracy within its judicial system. It is based to a large degree on the UN Convention on the Law of the Sea definition of piracy with some important differences. The Anti-Piracy Law, together with legislation contemplating the transfer to Somaliland from other States of convicted offenders, were signed into law by Somaliland’s President last month. While not directly referring to piracy repression measures, the Prisoners Transfer Law already facilitated the transfer of several convicted Somali pirates from other countries in the Gulf of Aden region currently carrying out piracy prosecutions, particularly the Seychelles. 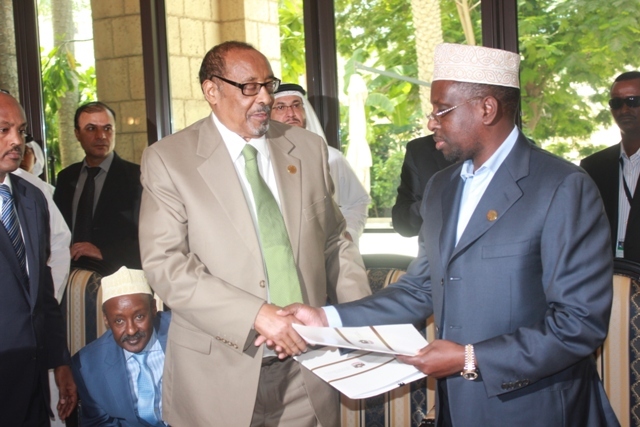 The passing of both Laws signals Somaliland’s commitment to combat maritime piracy off its coast and elsewhere in the region in its growing engagement with the international community in a quest for international recognition. 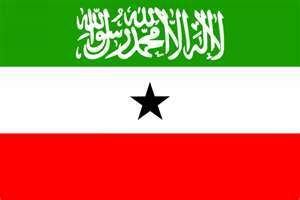 More importantly, the Laws fill a lacuna in Somalia’s out-of-date and politically-motivated legal framework, as applicable to Somaliland pursuant to Article 130(5) of its 2001 Constitution. The new Law is a case study in the potential hazards in partial implementation of UNCLOS terms. Under the previous applicable legislation, particularly Somalia’s 1962 Penal Code, acts of piracy and armed robbery at sea where arguably punishable as armed robbery (Article 484), extortion (Article 485) and kidnapping (Article 486). Additional issues arose in connection with the applicable forms of participation to these crimes as well as the punishment of inchoate crimes. Recourse to the 1975 Kidnapping Law, adopted during the military dictatorship, was particularly problematic due to the possible unconstitutional breach of fundamental human rights by its provisions, which also included the jurisdiction over this crime by a special national security court. Finally, Articles 205-206 of the 1959 Somalia Maritime Code criminalize piracy and mutiny carried out by ship masters and crews. However, these articles do not provide sufficient legal basis to contrast the current pirates modus operandi in the Gulf of Aden, where pirates often operate off small and unregistered skiffs and without a formalized chain of command. An excellent analysis of the inadequacy of both Somalia and Somaliland previous anti-piracy legal framework can be found at Somaliland Law.com. First and foremost, it has to be noted how the Anti-Piracy Law eliminates within its judicial system the customary law distinction between piracy and armed robbery at sea, defining any attack within Somaliland territorial waters as “piracy” (Article 2(1)(c)). The new Law also repels Articles 205-206 of the 1959 Maritime Code (Article 13, see also Article 9) and affirms the applicability of the 1962 Penal Code for matters not specifically dealt with within the Law (Article 14), for instance with regard to forms of participation in the commission of the crime. More importantly, the Law introduces a term of imprisonment of 5 to 20 years (Article 4) without the possibility of conversion of a sentence into a fine (Article 10). In the case of murder, the provisions of Article 434 of the Penal Code, which provides for the death penalty, will apply. In addition, the Law has expanded the definition of piracy set forth in UNCLOS by adding two forms of participation: ‘willful participation’ and ‘aiding’ piracy. 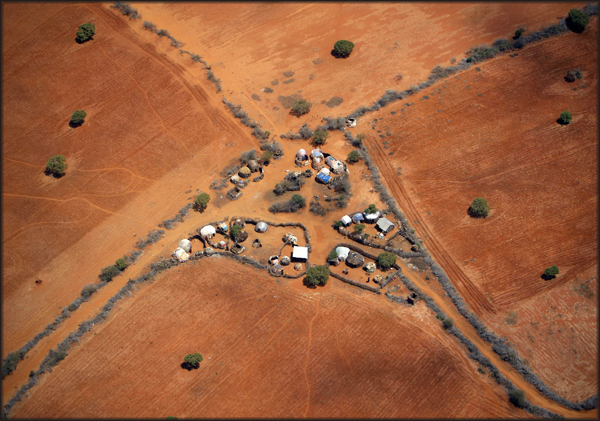 c) against a ship, an aircraft, a person or property on board a ship or an aircraft within the territorial waters of the Republic of Somaliland. 2. Any act of willful participation in an act directed knowingly as a pirate’s attack against a private ship or private aircraft. 3. Any act which incites or facilitates or aids piracy as defined in Clauses 1 and 2 of this Article. 4. Similarly, any act of piracy directed at or by a warship or military aircraft or a government ship or aircraft whose crew takes over its control by means of a mutiny and commits acts of piracy as defined in (this) Article 2 of this Law. B. Ship means any sea vessel including ship, boat, speed boat, launch, canoe or any other sea vessels which are used for acts of piracy. Article 2 of the Anti-Piracy Law reproduced in extenso above mirrors the provisions of Article 101 of UNCLOS, with the exception of some small but notable differences. Article 2(1) expressly refers to actions of “armed pirates”. Article 6(1) only briefly expands on this notion, identifying pirates as “persons who intend to commit the acts of piracy referred to in Article 2”. Article 2(1) also identifies “illegal financial gains” as the purpose of the acts of piracy thus providing a narrower, though more precise, definition than the customary “private ends” requirement contained in UNCLOS. Article 2(2) is particularly interesting in that it removes the traditional direct link between acts of piracy and the use of a ship. Because of its wording and its location within the Law, Article 2(2) appears to replace Article 101(b) of UNCLOS which refers to “any act of voluntary participation in the operation of a ship”. Some authors have noted a possible lacuna in the punishment of direct perpetrators of acts of piracy created by the departure from Article 101(b) UNCLOS, which is also referred to as punishing “cruising with pirate intent”. This has prompted a call for an amendment to the Anti-Piracy Law to include this latter provision. However, it is also arguable that Article 2(2) is an entirely novel provision expanding the criminalization of piracy to encompass the responsibility of pirate kingpins and middle-men operating from dry land. Indeed, these types of criminal conduct might not always fall under the provisions of Article 2(3) of the Law, as well as Article 101(c) UNCLOS, which criminalize inciting as well as internationally facilitating piracy. Further to the comment above concerning the abandonment of the customary term of “armed robbery at sea”, pursuant to Article 5 of the Law, Somaliland Courts will have jurisdiction over any offence of piracy committed within Somaliland sea or in an area outside the territorial waters of any other country. In this regard, pursuant to Article 8, the Somaliland Coast Guard have the power to seize ships and to arrest and investigate suspected pirates. Article 11 of the Law provides for the confiscation of property seized from pirates. The main goal of this provision, also contemplated by the UNCLOS, is to drain off the resources of pirates’ cartels by removing their main revenues, including equipment and paid ransoms. However, further consideration has to be given to the full extent of application of this rule, particularly with regard to ships seized by pirates and subsequently used in connection with pirate attacks, for instance as mother ships. The strict application of this norm risks further depriving, even if just temporarily, the legitimate ship owners of costly assets, as well as of their cargo, upon it and its crew being freed from captivity. Crucial in this regard will be the interpretation of Articles 6(2) and 7 of the Law which, respectively refers to the status and the ownership of a pirated ship. The general thrust of the new Anti-Piracy Law is to adapt Somaliland’s legislation not only to the established international norms, particularly the relevant UNCLOS provisions, but also to provide an effective tool to respond to the modern features of pirates attacks, as well as armed robbery within Somaliland’s coastal waters. The Law identifies relevant criminal conduct and provides a clearer definition of pirate ships. However, an opportunity has been missed for the provision of a more direct definition of pirates. The Law also clearly targets the financing and other actions in support of piracy (see also Article 3(4)). Yet, the Law risks paying too much tribute to the current factual circumstances of the pirates attacks taking place in the Gulf of Aden, departing from a more abstract legislative framework. 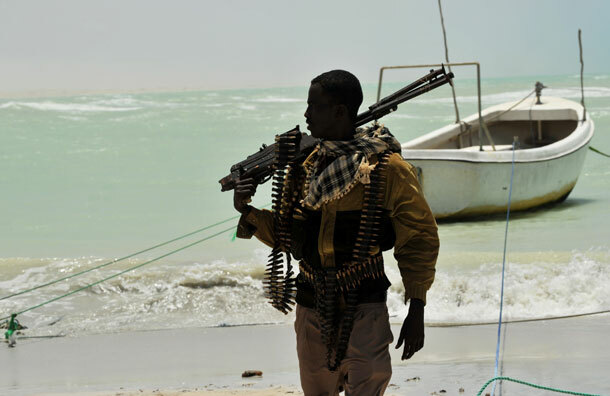 In several instances, Somali-based pirates have already shown a peculiar capacity to adapt their modus operandi, as well as their targets, as the international community struggles to devise efficient deterrent measures, whether involving increased naval presence in the Gulf of Aden or the harmonization of national anti-piracy laws. With the implementation of the Somaliland Anti-Piracy Law we will soon have a chance to assess whether this criminal trend will continue evolving or whether the legislation managed to fill a long overdue legal gap. It also remains to be seen whether there will be continued political will in Somaliland, and support from the international community, to put this Law into action. Of particular interest will be whether Somaliland will take the responsibility to prosecute suspected pirates even if they are native to other regions within Somalia, particularly from Puntland.